Will Samsung dare to release a competitor to the Windows RT Microsoft Surface tablet? It seems like it, according to anonymous sources for Bloomberg. 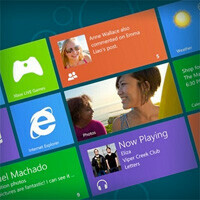 It is being claimed that before the year is out, a Windows RT tablet made by Samsung will be already on the market. Details are scarce at this time, although the tipster said what silicon will be ticking inside of Samsung's Windows RT slate. And no, it is not going to be an Exynos chip, it seems – it is believed that a Snapdragon processor will be powering the device instead. We have to note that the RT-based Microsoft Surface tablet comes with a quad-core Tegra 3 chip. However, Qualcomm itself claims that the Snapdragon-powered Windows RT tablets will be better, with identically good performance and superior battery life. Since the Windows RT Surface tablet will probably cost around $600, we expect for Samsung to bring a cheaper or identically priced offering. That might be easier said than done, however, given that the Korean manufacturer will need to pay an extra $85 for each Windows RT license. If Bloomberg's sources are to be trusted, the tablet is scheduled to launch in October of this year. hmmmmm excellent(megatron voice) so does that mean come black friday I can find some kind of deal for this?